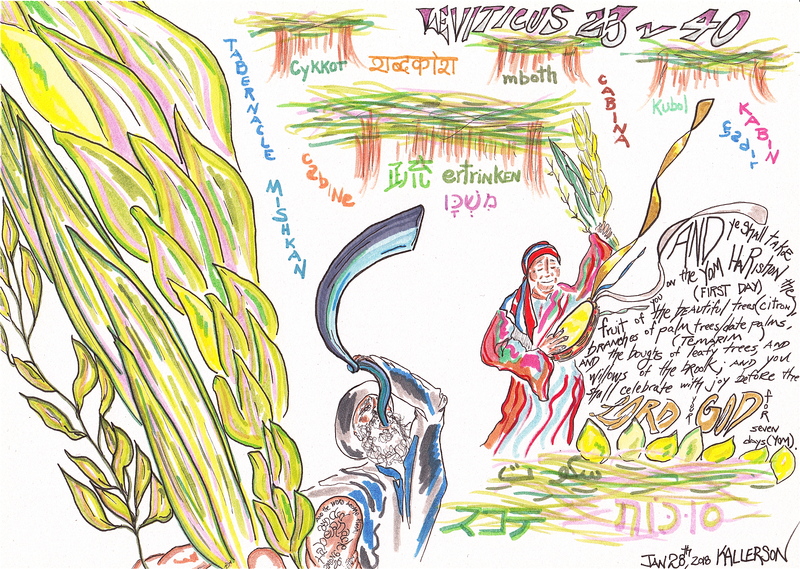 This entry was posted in Uncategorized and tagged Adonai, Ani Ani, Art, Bible, Biblical art, Biblical artist, Biblical illustration, booth, Booths, cabie, cabin, celebrate, Charlie Garrett, Charlie Garrett The Superior Word, Christine Peck, citron, Cris Putnam, D Kallerson, date palm, dates, DD Kallerson, Derek P Gilbert, Doreen Kallerson, Doreen Reidy, Doug Kallerson, Douglas Kallerson, Elohiem, ertrinken, Feast of Booths, Feast of Shelters, Feast of Tabernacles, Feasts of God, fruit, Gary Stearman, God, Hebrew, Holy Bible, illustration, Illustrator, Ireland, Irish, Irish art, Irish Biblical art, Jew, Jewish, Jewish Art, Jewish artist, Jews, John 1 v 14, John Kallerson, Josh Peck, joy, Kallerson, Leviticus, Leviticus 23, Leviticus 23 v 40, Lord, mishkan, Prophecy, Prophecy in the News, prophecy watchers, Prophet, Prophetic, Prophetic Art, scripture, scriptures, Sharon K Gilbert, shelters, Skywatch tv, Son of God, Succoth, Tabernacle, Tabernacles, Talmud, Tanach, Tanakh, temarim, tent, The Superior Word, Thomas Horn, Tom Horn, Torah, willows, Yom, Yom HaRishon. Bookmark the permalink. What do the words in foreign languages refer to? What is their meaning? Do they refer to the Deluge? If so, why in connection with Sukkot (Lev. 23,40)?